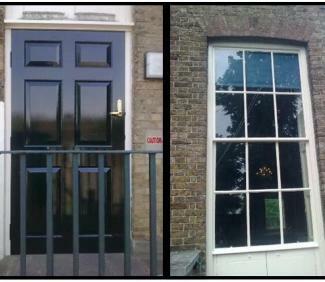 We recently received an order from English Heritage for the manufacture and installation of a replacement front door to the Rangers House at Greenwich Park. The new door had to match the existing in every detail as the building was listed. This job was one of a number of small projects recently carried out for this client. We made an excellent job of manufacturing the new door. 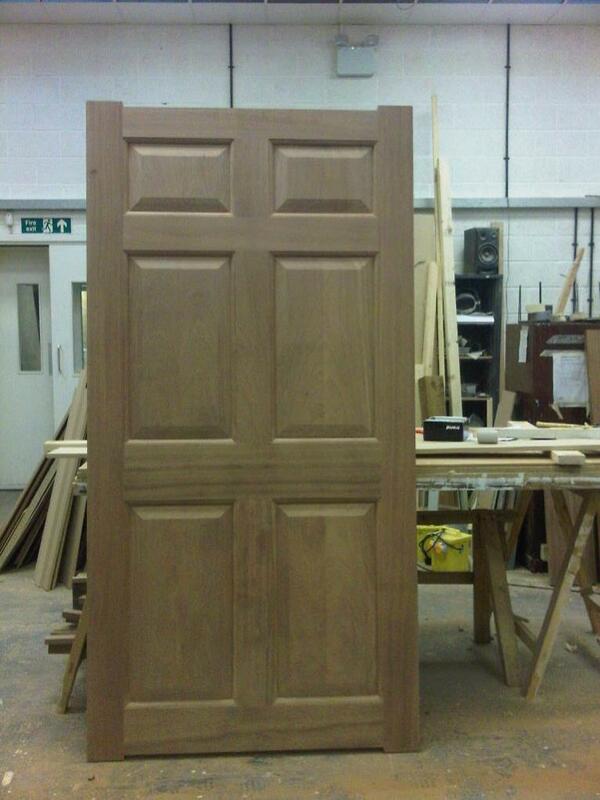 The selected timber was Sapele and the door was made from start to finish in our joinery shop using traditional methods. 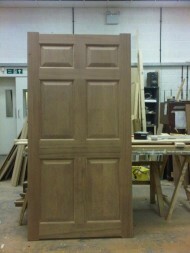 Once completed, the door was hand painted in the workshop with an undercoat before delivery to site for installation. Ruggles & Jeffery’s carpenters installed the door on new ironmongery and our experienced painter & decorators applied the final coats of paint on site to create the high gloss finish required to match the existing doors. We also carried out some alterations to the frame head including the installation of a drip bar to prevent the new door being exposed to water saturation as this was the likely cause of the previous door rotting. Our client was delighted with the high standard finish that we achieved.